Charged With Marijuana Possession in Toms RiverPossession of marijuana is fairly common in Toms River with hundreds of arrests every year. The highest volume of charges involve possession of 50 grams or less of marijuana. Toms River also has a large block of fourth degree marijuana possession offenses as the home of the Criminal Division of the Ocean County Superior Court where all indictable criminal cases filed in Ocean County are heard. It is important for you to hire a skilled marijuana possession defense lawyer if you have been charged with this offense. Penalties can be stiff if you are convicted of either grade of this charge although the skilled attorneys at Law Offices of Jonathan F. Marshall have a rich history of success in these matters. We have over 100 years of combined experience which includes years serving as prosecutors, even in Toms River. To speak to one of our lawyers in a free initial consultation, contact our Toms River Office at 732-286-6500. It continues to remain illegal to possession marijuana in any quantity in New Jersey. N.J.S.A. 2C:35-10(a)(4) makes it a disorderly persons offense to possess 50 grams or less of marijuana. If you possessed marijuana in such a quantity, your case will be heard in Municipal Court of Toms River. While possessing marijuana under this statute is essentially a misdemeanor, you will have a criminal record and be subject to several penalties if you are convicted. There is a county jail term of up to 6 months, a fine of $1,000 and a 6-24 months driver's license suspension that may be imposed. It is a fourth degree crime to possess more than 50 grams of marijuana in Toms River, Jackson, Manchester, Brick, Lakewood, Seaside Heights or anywhere else in Ocean County. Cases like this are indictable in nature just like a marijuana distribution offense and therefore fall outside the authority of the municipal court. The penalties that you will face if you are convicted of fourth degree marijuana possession include up to 18 months in prison, a $10,000 and a 6-24 license suspension. Possession of marijuana is unquestionably something that arises in Toms River frequently despite the offense remaining to be criminal in this state. Do not be fooled into believing that your case is minor and that life changing consequence are outside the realm of possibility. At a minimum, you face a fine, license suspension and a criminal record. Hiring a skilled attorney at our firm like Matthew Dorry can go a long way in averting ramifications such as these. 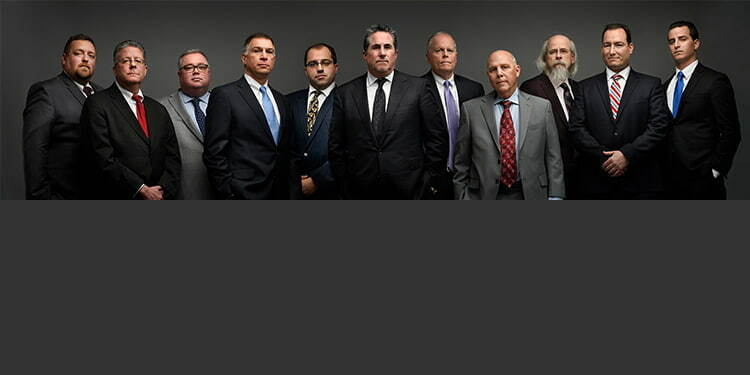 We have a team of well accomplished criminal lawyers who have a rich history in Toms River. if you are convicted under 2C:35-10. To learn more about your charge and/or possible represent by one of our attorneys, call our office in Toms River at 732-286-6500.